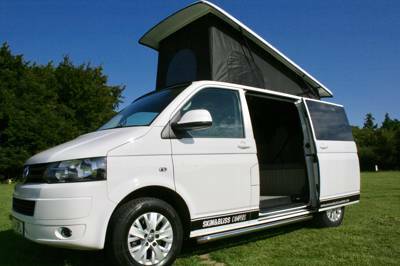 Essex-based Skin & Bliss Campervans are conveniently located to Stansted Airport, making them ideal for exploring South-East England. Some of the UK's most spectacular campsites can be found on the Norfolk Coast, the New Forest, the South Downs and Kent's Garden of England, so the possibilities for your campervan roadtrip are endless. 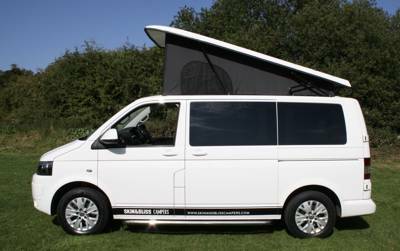 Reliable and comfort-guaranteed, their VW T5 Transporter pop-top campervan can easily accommodate a family of four, with double beds on two floors. The inflatable driveaway awning (which takes just 10 mins erect) also makes for a readymade chill-out space and extra room for another couple of guests. Featuring an ingenious kitchenette including sink, fridge and two-ring gas hob (utensils included), the front swivel seats can easily spin round converting the van into a handy dining area. It's also brimming with all mod cons too such as air conditioning, CD/bluetooth stereo, and LED dimmer lights. Insurance, road side assistance and unlimited mileage are all included in the price, and a number of extras such as the awning, bike racks, hampers & bedding can be hired as part of the package. They're dog-friendly too so you can even bring your pooch. And thoughtful little touches such as complimentary South American coffee and hot chocolate for the little vanners ensure your campervan roadtrip is a smooth one. Now all you need to do is decide where to go! 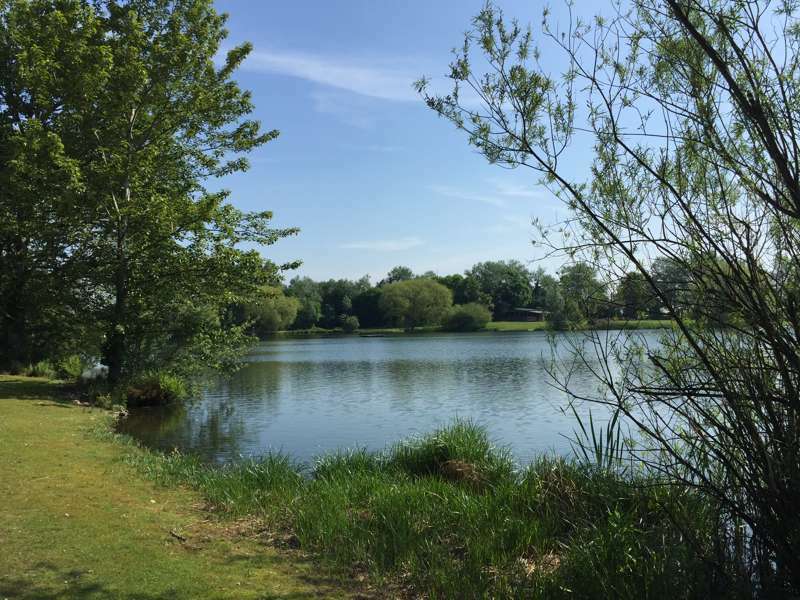 Near Chelmsford & only 15 mins from Stansted Airport and M11/A120.